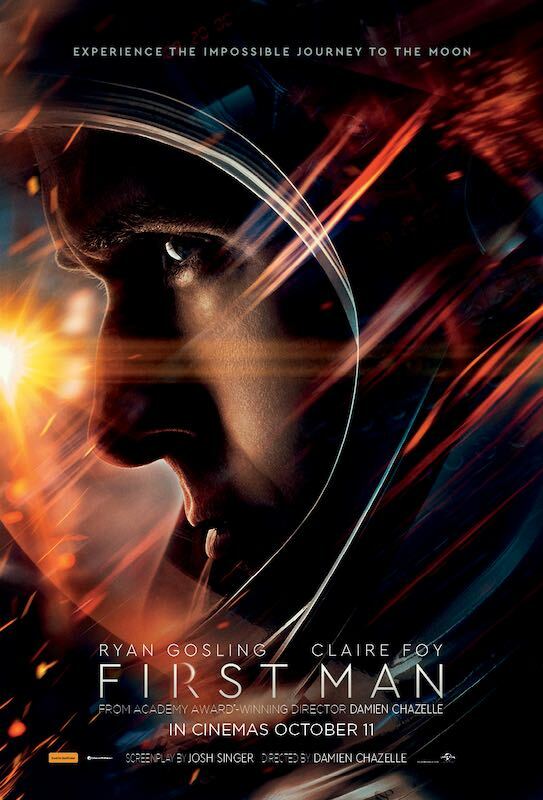 On the heels of their six-time Academy Award-winning smash, La La Land, Oscar-winning director Damien Chazelle and star Ryan Gosling reteam for Universal Pictures’ First Man, the riveting story behind the first manned mission to the moon. This focuses on Neil Armstrong and the decade leading to the historic Apollo 11 flight. A visceral and intimate account is told from Armstrong’s perspective. Based on the book by James R. Hansen, the film explores the triumphs and the cost — on Armstrong, his family, his colleagues and the nation itself — of one of the most dangerous missions in history. Written by Academy Award winner Josh Singer (Spotlight, The Post), the epic drama of leading under the pressure of grace and tragedy is produced by Wyck Godfrey and Marty Bowen (The Twilight Saga, The Fault in Our Stars) through their Temple Hill Entertainment banner, alongside Isaac Klausner (Love, Simon) and Chazelle. Thanks to Universal Studios we have 5 double passes to giveaway. To be in the draw to win a double pass to First Man, simply fill in the form below or call the office during business hours on 9227 8283.